Welcome to this page on Planet Whiskies referring to American Whisky Distilleries. There is a great range on distilleries on this page ranging from the famous Jack Daniel's Distillery in Tennessee to of course the Jim Beam distillery in Kentucky. These are just two, but all the other maybe not so famous, but are massive in American Whisky history. Buffalo Trace and Heaven Hill Distillers are just two more on this exciting list. There are web links to most of the distilleries on this page to take you straight through to the distillery own website. This can be a great help to gain more information that you require regarding the facilities that you are interested in. I have also added photos to the distilleries to give more of an insight into the distillery. 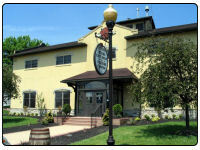 After reading all the information on this page about U.S. distilleries please remember to check out the American whiskies and Bourbon pages on this site where you can browse through the selection that is available and if you do fancy buying your favourite dram or would like to try one that you have always felt like trying but never got round to it there is a facility there for you to click a link that will take you to a website that is has worldwide delivery on all their whisky bottles. This page is always being updated as and when I find new distilleries in America and that is what is so exciting regarding this website that your work is never done. So remember if you are reading this and know of a distillery near you, please email myself and then I can resource the distillery and make a listing on this page. Before we read about the American distilleries remember that there is a worldwide list of distillers in the links just below the paragraph. Jack Daniels is the oldest registered distillery in America and whisky has been made for over 140 years. Jack Daniels is made in Lynchburg, Tennessee. The famous name of the whisky "Old No. 7" is still a mystery and no one knows why it was called this, but it is a really big brand name and one that is recognised around the world. An interesting fact about this distillery is that is it based in one of the 'dry counties' in America where it is illegal to drink or buy alcohol, but legal to distil. State law does let the distillery sell one of it's products only within the county and is the exception to the rule for the rest of the county. More details can be found on their website www.jackdaniels.com. Tuthilltown Spirits Farm Distillery is situated 75 miles outside of north New York City and produces a number of Spirits including HUDSON whiskey. This whiskey is produced exclusively for William Grant and Sons. Other spirits this distillery makes are Alf Moon GIn (apples and wheat), Indigenous Vodka (from apples), Roggins Rum (blackstrap molasses), Cassis (Hudson Valley currants) and Basement Bitters. Maker's Mark has been distilled in Loretto, Kentucky since 1953. 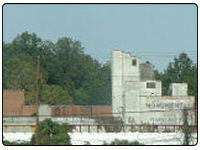 The name of the building where this bourbon is produced is The Old Gristmill. Produced by the Samuels family and ancestor T.W. Samuels, this bourbon is bottled by taste rather than age. It still applies the strict US bourbon law and the ageing process does has the minimum 2 years. 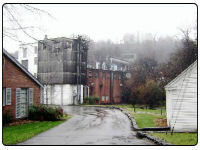 Buffalo Trace Distillery was built in 1920 and is set in Frankfort, Kentucky. 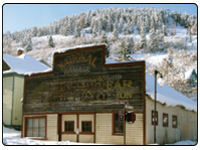 Before 1920 this distillery site has had several names including the name George T. Stagg. On record the first distillery was built in 1812, but whisky was made on the site before this date and could have been as early as 1772 so this is oldest distilling site in the US. This Distillery is mainly known for it's bourbon and just a few of it's bourbon types are Ancient Age, Blanton's, Buffalo Trace, Hancock's President's Reserve, Rock Hill Farms, Van Winkle Special Reserve and W.L. Weller "Centennial". George A. Dickel Distillery is set in Tennessee and Whisky has been made there since 1870. 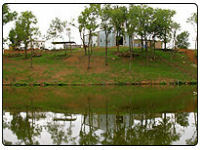 It is based on the Highland Rim of the Cumberland Plateau, between Nashville and Chattanooga. It is stated that the whisky produced here is as smooth as the finest scotch. The water source for this distillery is the Cascade Springs. The George Dickel distillery is the only Tennessee whisky to chill the whisky before it goes into the charcoal mellowing vats. By using this process it filters out all the the oils and fatty acids inherent in most whisky products. Wild Turkey is a straight bourbon whiskey manufacturered by Austin, Nichols Distilling Co in Lawrenceburg, Kentucky and was first introduced in 1940 when samples when given out on a hunting trip. Other 'names' for this bourbon are The Dirty Bird, Gobble Gobble, Thunder Chicken, and The Kickin' Chicken. 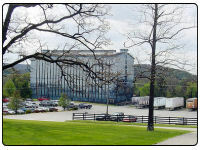 Heaven Hill Distillery is located at 1064 Loretto Road, Bardstown, Kentucky, 40004. 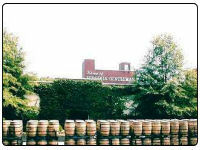 The distillery produces the Evan Williams brands and some of the brands are Elijah Craig 12 Years Old, Elijah Craig 18 Years Old, Evan Williams 1990, Single Barrel, Evan Williams 1991, Single Barrel, Evan Williams 1993, Single Barrel and Evan Williams 23 Years Old Kentucky Straight Bourbon Whisky. More information can be found by going to their website www.heaven-hill.com where you will find the latest new about Heaven Hill distillery and all the information regarding their famous whiskies. 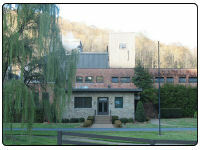 Kentucky Bourbon Whisky Distillery Ltd was built in 1935 from a farmhouse by Lambert Willett. This distillery was first called the Willett Distilling Company in 1936, but changed the 1984 to the present name it has today.. Some of the Bourbon that this distillery produces are Johnny Drum Green Label, 4 Year Old Bourbon, Johnny Drum 15 year old and Johnny Drum 12 year old. Their contact details are 1869 Loretto Road, P.O. Box 785, Bardstown, Kentucky 40004, USA and the contact telephone number if you have any question for them is (502) 348-0081. You can visit their website by clicking this link. 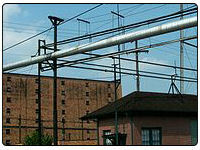 A. Smith Bowman distillery in located in Fredericksburg, Virginia and is produces bourbon. It was founded 1935 by Abram Smith Bowman and his sons and was the first distillery to create small batch bourbon. This distillery is currently the only distillery that produces bourbon outside of Kentucky. 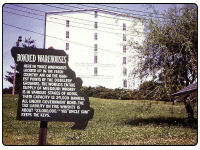 Wathen's Distillery is located in Kentucky and produces the Wathen's range of bourbons. This distillery has over 200 years history and is located at Distillery Road, Owensboro, KY 42301 and their contact phone number is (270) 926-4460. 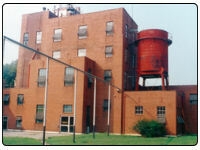 The distillery is still run by the same family and is now in its eight generations of Wathan's Bourbon. At present the distillery is run by Charles and Sam Medley. You can gain some more details for their website at www.wathens.com, but when I was looking at their site I found a few pages had just photos with no text present. Latest update 17th May 2009 and the website is still the same. Fingers crossed that information will appear soon as think it would be a very interesting read. 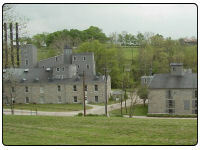 Woodford Reserve location is Versailles, Kentucky and was first built in 1838, but has expanded over the years. The bourbon Woodford produces to just name one is Woodford Reserve Masters Collection. All their bourbon is produced in small batches. They do have a distillery tour and more details can be found on their excellent website www.woodfordreserve.com. The website has a shopping cart facility which you can pick up anything to do with the brand ranging from jackets to bottle holders. McCormick distillery is set in Missouri and has been producing whisky since 1856. One of the most famous products is the Platte Valley 3 Year Old Corn Whisky. The distillery says it is the oldest continuously operating distillery in America and is still on the same site since the beginning. Of course when prohibition came along the distillery was forced it to close its door for this period. Majestic's distillery in now closed after main years of producing fine rye whiskies. The base for this distillery was in Lansdowne and closed its door to making new whiskies in 1972. In fact they just stopped making whisky, but kept the barrels to mature till well into the 1980's when they were ready to consume. 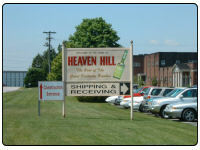 In 1982 Heaven Hill Distilleries purchased the brand name of Pikesville - the primary brand of the Majestic's distillery. With this purchase the Pikesville name is still around and great thanks has to go to Heaven Hill for keeping this whisky alive. It made Heaven Hill stronger in the American market place, but better having this whisky still with us than being a whisky for the past. 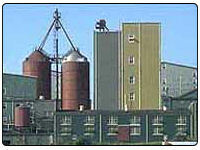 Templeton Rye Distillery in Iowa is a distillery with a great deal of history. In the 1920 the Templeton Rye whisky was being made when Prohibition can into effect in America. The small town of Iowa decided to keep making this whisky against all laws of the Prohibition and it kept on producing a very high quality rye product during this time. The distillery itself now uses new oak barrels. Their website is well worth going to as it has all the information you need to know everything about Templeton Rye and they also have a very detail page regarding all the recipes you need to know with making cocktails with Templeton Rye. 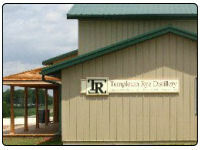 There website address is www.templetonrye.com. So please visit their website where you will learn all the information you want about all the Templeton Rye Distillery brands. Charbay Winery & Distillery is a small run family business set in Napa Valley on Spring Mountain in St. Helena, America and has been distilling since 1972. 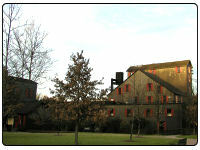 The distillery produces the range of Charbay Double Barrel Single Malt Whiskies, but other alcohol that the distillery produces is wine, vodka and port. The full address contact details are Charbay winery & distillery, 4001 spring mountain rd, St. Helena, ca 94574 and contact telephone number is U.S. 707-963-9327. More details can be found on their excellent website www.charbay.com. The website writes about all you need to know about the family business and also feature great articles relating to wine making and the history of distilling. 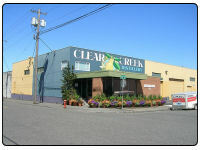 Clear Creek Distillery is a genuine artisan distillery set in the foothills of Portland in Oregon. One of the main whisky brands that this distillery produces is the McCarthy's Single Malt 3 Year Old. The distillery has tour and tasting room available and is generally open for visitors on weekdays 9:00 a.m. - 5:00 p.m. and Saturdays 11:00 a.m. - 5:00 p.m. with the distillery tours every Saturday at 11:00 a.m. and 1:00 p.m. They ask that you contact them by email first before you visit on their contact details are 2389 NW Wilson, Portland, Oregon, 97210 and local contact number is 503.248.9470.